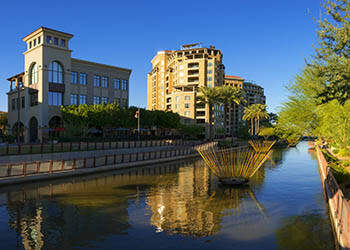 While the hospitality industry is an enormous influence on Scottsdale, AZ, as a destination resort town, the southwestern jewel is equally prized for destination luxury living. As the city has grown, it has welcomed technology companies, major health care providers, and a variety of sustainable industries to make their home here. Cabrillo Apartments is convenient to excellent schools, plenty of outdoor fun, and some of the best dining in the southwest. What’s your pleasure? Lose yourself in the monarch splendor of Butterfly Wonderland, or the magical Desert Botanical Garden. 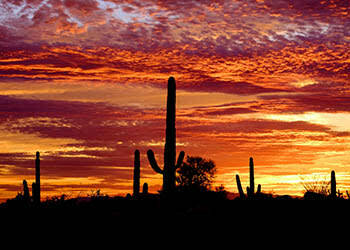 Enjoy nature with a hike in Tonto National Park, or soak up some culture at the Scottsdale Museum of the West. There’ll be a craft pint with your name on it at one of the city’s friendly brewpubs. Our beautiful apartment community is located east of Frank Lloyd Wright Blvd, north of East Shea Blvd, and south of East Via Linda. Whether you’re commuting to work, school or the golf course, the one and two bedroom apartments at Cabrillo Apartments put you close to everywhere you want to be in Scottsdale, AZ.